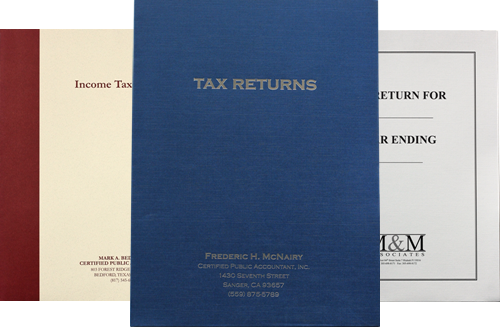 High-quality tax folders personalized with your company logo and information. 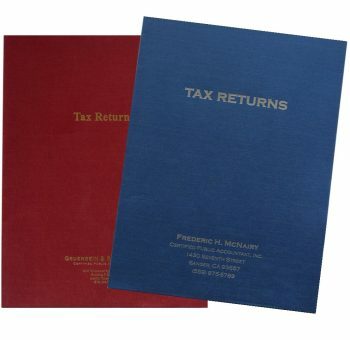 Personalized, custom tax return folders. Enhance your brand and keep it classic or get fancy! 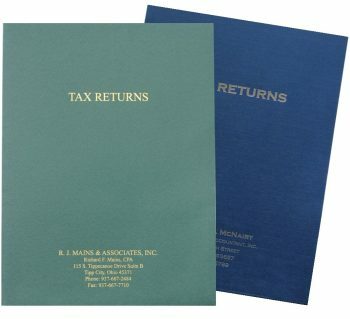 Create your own design, get custom paper colors, multi-ink colors and anything special you’d like to make your client tax returns look amazing! Print anything you want, in any location on the folder, in any size, color and style. 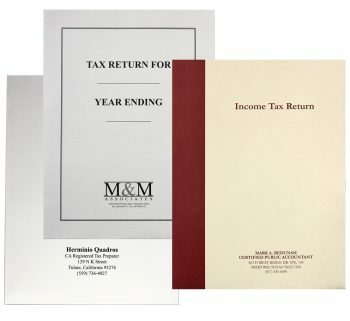 Why Spend Money on Tax Folders? 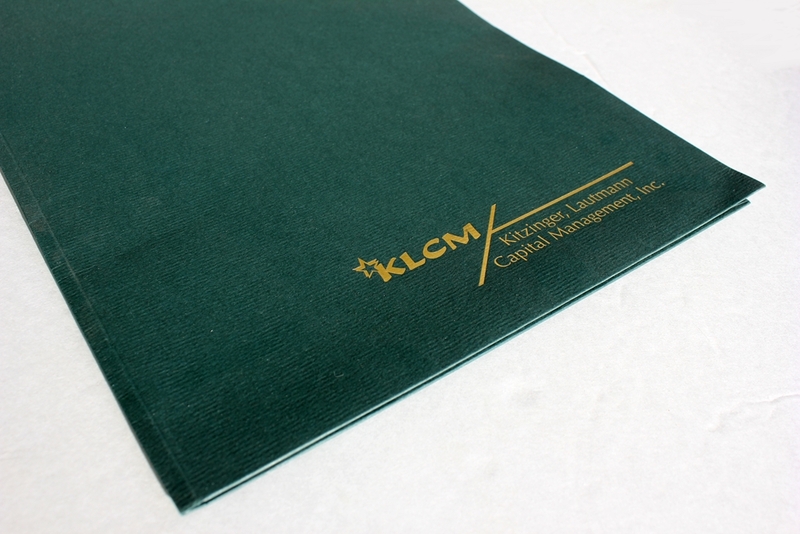 Professional tax folders are an investment in your brand image! Although they can get a little pricey, especially when you imprint your name or foil stamp your logo, it’s an expense that’s worth it. You get one big chance every year to make a lasting impression on each client. One chance to highlight the time and energy you put into preparing their tax return. They rely on you for one of the biggest financial tasks they face annually. The final results of your work, typically a large packet of documents, should be organized and presented in a way that will inspire confidence in your work. After all, repeat business is some of the best! Not only will your work shine in a professional presentation, but the same folder can help clients stay organized with a properly structured return. This one annual deliverable is sometimes the only visual presentations of your work that clients see. You want them to see you as a professional, who cares about his clients and takes pride in his work. 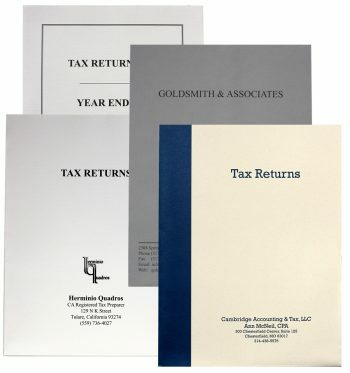 A quality tax return folder makes your business shine!